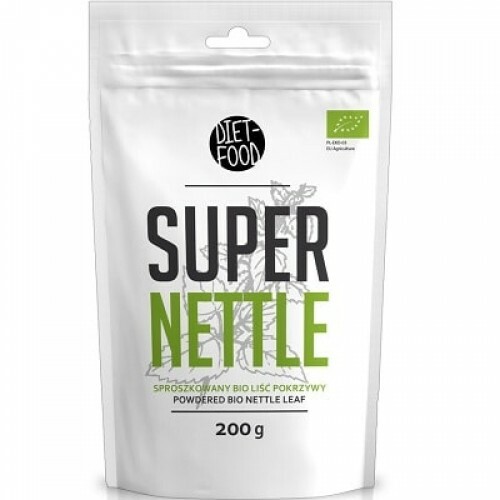 Bio Super Nettle is a rich source of iron, vitamin C, fiber, folic acid, calcium and many other vitamins and minerals. Tea made from Nettle is used in natural medicine to help regulate humans metabolism. ✔ Improves the digestive tract. ✔ Strengthens the immune system and fights infections. ✔ Used in the treatment of anemia. 100% organic powdered nettle leaf. Pour a cup of 1 teaspoon of nettle - pour boiling water. Brew covered for a few minutes.